DESCRIPTION ***Huge Price Drop*** Welcome Home to this FULLY RENOVATED semi-detached bungalow at prime location in the heart of desirable community of Glenbrook, NEW FLOORING, PAINTING, CEILING, LIGHTING FIXTURES, BASEMENT AND BRAND NEW KITCHEN WITH GRANITE COUNTERTOPS. Bright and spacious Living area is facing west with lots of day light backed with dining area and spacious BRAND NEW kitchen filled with natural light as well. A separate side-entrance leads to a full basement with extra bath and Laundry... Additional spacious living area makes this house perfect. A single car garage rounds out the features of this home. Recent upgrades also include a high efficiency furnace, newer hot water tank with water softener, and some new windows. Easy access to major routes and minutes away from Westhills Shopping Center. Schools, parks, and all amenities are at your door step... Lets not forget about beautiful infill new houses around the block... Book your private showing today! A Must See House! Home for sale at 3734 42 ST Sw Calgary, Alberts T3E 3N1. 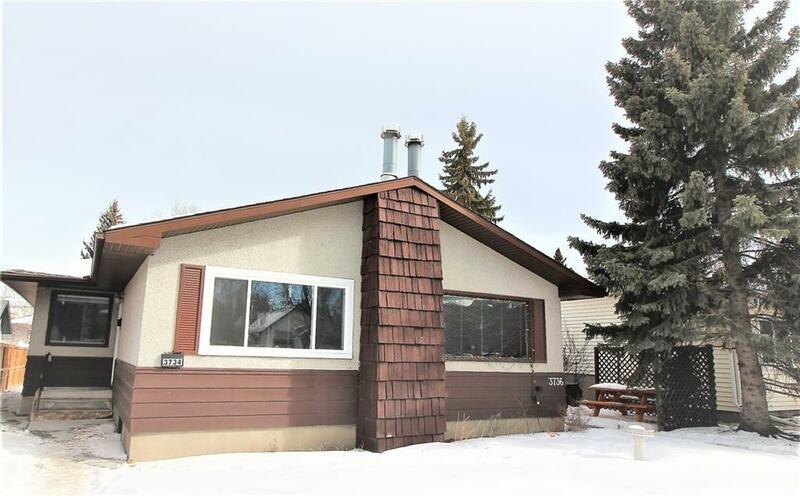 Description: The home at 3734 42 ST Sw Calgary, Alberta T3E 3N1 with the MLS® Number C4232660 is currently listed at $369,500.